Elevate your evening sipping with this artisan crafted copper martini glass from Sertodo Copper. Complete with luminous textured hammer marks, rich copper color, soft curves, and stunning shine, this elegant cocktail glass serves as a timeless statement piece. Each piece is handmade by fair trade coppersmiths in Santa Clara del Cobre, ensuring that each cup is truly one of a kind. Build your handcrafted barware set by pairing several martini cups with a Sertodo Thessaly round platter. Delight your friends and family with shimmering cocktails, mocktails, parfaits, or specialty smoothies in theses sustainably made copper cups. Lifetime Guarantee - The craftsmanship on all Sertodo Copper products are guaranteed for life. Each piece is individually hand crafted so variations in appearance and other minor imperfections are to be expected. "Beautiful wonderful and so refined : Bought these as a gift for husband. SCORE! " Still have questions? Email us at questions@nicole-rhea.com and we’ll usually get back to you within an hour. 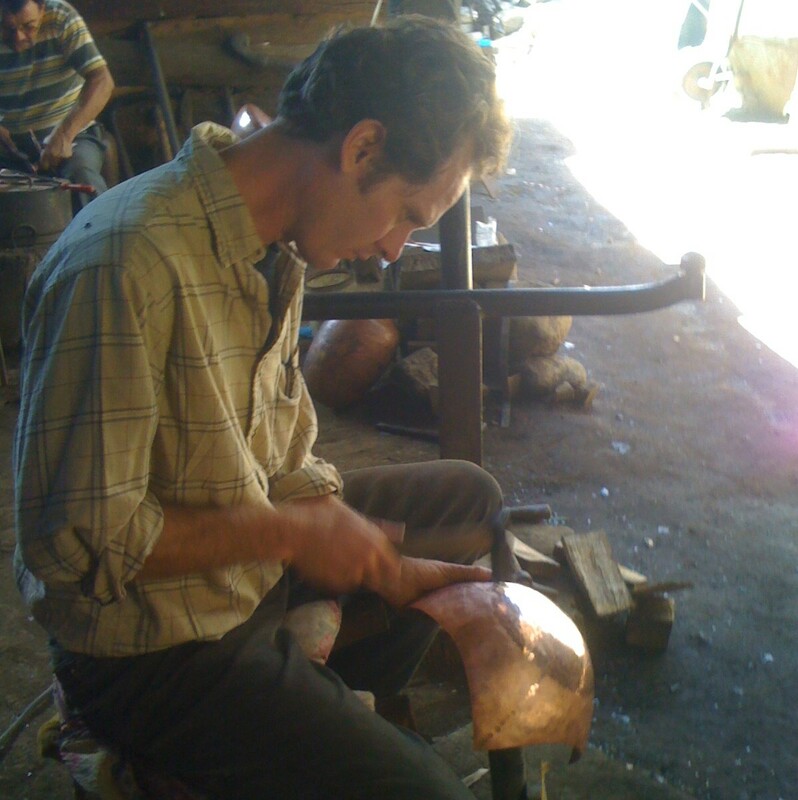 Sertodo Copper is an international cooperative of master copper artisans founded in 1997, with workshops in Austin, Texas and Santa Clara del Cobre, Michoacan Mexico. Each Sertodo Copper piece is individually handcrafted using heavy gauge 100% pure copper from recycled materials to make copper goods both functional and sustainable. Bought these as a gift for husband. SCORE! You may return most new, unopened items within 30 days of delivery for a full refund. We'll also pay the return shipping costs. Note: Purchases made between November 1st and December 31st can be returned through January 31st. Please see our complete Returns Policy for more details. All items are shipped via USPS, UPS or Fedex. Please let us know if you have a preference, otherwise we will ship with the best option for your delivery address. We currently only ship to addresses in the United States. Please note that we cannot ship to post office boxes. Sometimes items that are ordered together may ship separately. We do not ship on weekends or holidays. Please note that the delivery time estimates listed above apply to the shipping estimates only and does not include 1-2 business days to process an order. Please contact us if you need your order by a specific date. We cannot guarantee next day delivery. Please note that the shipping rates for some items we sell are weight-based. The weight of any such item can be found on its detail page. To reflect the policies of the shipping companies we use, all weights will be rounded up to the next full pound.